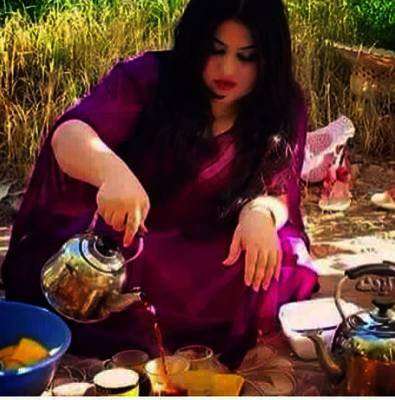 How can Kurdish still call women Afrat ئافره ت (a very sexist word of Arabic-Islamic origin)? ئافره ت woman and started tracing it back to its origin, I must admit I felt deeply surprised, ashamed and angry. I wonder how can any sensible human being use it next to the old and most popular Iranian word zhin ژن which is a cognate of words from other Indo-European languages such as Persian zan زن, English queen, Swedish kone and Russian zhine. However, it is clear that the Kurds are no longer aware of its Arabic-Islamic sexist origin as the word has been fully distorted or adapted to the Kurdish sound system.The word afrat is from Arabic عورة pronounced [3awra] which originally referred to the sexual parts of women seen as a shame with blemish and therefore must be hidden or or covered. The word [3awra] should not be confused with the more positive English (aura) which is from Indo-European (awer) referring to a gentle breeze and is the origin of English (air). Most probably the word afrat was borrowed into Kurdish in its Islamic context either through Persian or Turkish avrat عورت as Turkish violates the Arabic grammar rule of not pronouncing the feminine ending (ـة ah) as [t] unless it is in the genitive. Persian and Turkish abandoned the use of avrat as a name for women except in rural areas but Kurdish has still adhered to it though in a more formal context.